I love the start of the school year. There’s so many cool things about it. Here’s a top 10 list of my favorite things. 10. My desk is clean. I’m a pretty organized person… except my desk. My desk is usually a mess. I know where every single thing is in that mess, but the pile of junk might fall over and injure someone at any moment. I like the beginning of the year, because I have a chance to make brand new piles of desk mess. 9. All the markers work. At the end of the year it seems that all the white-board markers are just about dried out. I might have 40 markers on the tray, but none of them write dark enough. However, every fall the markers are bright and bold and write perfectly. I love that. 8. The clean smell. By January the whole place smells like old snow boots, there’s the whole thing about the funky gym clothes stank, and there’s always some kid that leaves a tuna sandwich in his locker for waaaaaaay longer than a tuna sandwich should be in a locker (just so you know, the rule on how long a tuna sandwich should be in a locker is a maximum of four hours). Today, this week, for the next few weeks, the school smells great. 7. Brand new notebooks. I love that all the spirals a brand spankin’ new. No one has the weird crinkly edge parts pouring out of the book, no one has the wire all bent up so there’s one long sticky-outy part hanging out 5 inches from the paper and stabbing everyone you walk by, and no one has to search through a gazillion pages full of doodles and drawings to find a piece of fresh paper – it’s all fresh paper. 6. It’s the start of the football season. I know this has nothing to do with school, but football and the start of the school year go hand in hand in my mind. 5. The teachers are so excited. Teaching is like no other job. No one else, except maybe professional athletes, gets a three month break from their job, then come back and it all starts over. It’s the same, but different. Teaching never gets boring, especially at the beginning of the year. 4. I get to meet with my TAP kids soon. What the heck is a TAP kid? I run a student travel club called TAP, which stands for the Travel Adventure Program. Each year we take a group of high school students on a trip to a foreign country. The last five years we’ve traveled to Germany, Greece, Turkey, Italy, England, Ireland, Portugal, Spain, Morocco, Japan, and Poland! This year we took 32 people from the Oswego area to South Africa, and in June 2016 we have 66 kids heading with us to Amsterdam, Brussels, and Paris!!! It takes a lot of work to get ready for a student trip to another country, so we meet every month during the school year to get prepared. We take the summer off from meetings, so I can’t wait to get back to getting the kids ready for our trip. Our trip to Paris at the end of this school year is full, but the good news is that you can join the club, participate in tons of cool activities, and get ready for a trip after your sophomore year! We’ll announce where that trip is going in October. 3. My friends. I worked at my last school for ten years, so I had lots of friends there, and at the beginning of the year I miss them. This is my second year at OEHS, though, so I’ve made some great friends here and the first few weeks are a really exciting chance to hear all about their summer vacations, weddings, trips around the world, and even new babies! 2. Making new friends. Okay, I’m going to be your teacher, so maybe we’re not going to be exactly friends, but I am excited to meet you. We’re going to spend a whole year together, do some fun projects, and learn a ton, so I’m always excited to see new faces in my classroom. Not only that, but I like meeting new parents. I like forming a team with them to help their student be successful – a new year means new challenges and new people. Both of those are great things. 1. It’s a clean slate. I’m going to be honest. I made a few mistakes last year. There are somethings I want to do differently, there are a few things I want to make sure I don’t do again, and there’s a handful of new things I’d love to try out. With a new school year I get a clean slate, a second chance, a fresh start. So do you! If you slacked off last year, if you caused trouble, if you were disorganized, or didn’t study hard enough, or talked out of turn, or were always late… I have great news. None of your 6th grade teachers know that, so you have a clean slate – a new year is a fresh start to make a new and better you. I’m going to try to make a new and better me, so maybe you should too. I can’t wait to see everyone on the first day. It’s going to be a great year. Well, it’s going to be great as long as we all remember the tuna sandwich rules. Glad you could all make it to expectations night, and welcome to Mr. Curtis’ Literature/Language Arts classroom. Please take some time to look around the different areas of the room to see our new text books, some student writing samples from the past, and some of the books we read here in 6th grade. There’s also information sheets about Remind101, a new text messaging system that helps parents keep in communication with their kids’ teachers about upcoming assignments. 4. I get to meet with my TAP kids soon. What the heck is a TAP kid? I run a club called the Minooka Travel Abroad Program (TAP). Each year we take a group of 8th graders on a trip to a foreign country. The last five years we’ve traveled to Germany, Greece, Turkey, Italy, England, Ireland, Portugal, Spain, Morocco, and Japan! In 2012 we’re headed to England with about 40 kids from Minooka. It takes a lot of work to get ready for an 8th grade trip to another country, so we meet every Wednesday during the school year to get prepared. We take the summer off from meetings, so I can’t wait to get back to getting the kids ready for our trip. No, sorry – 6th grade kids can’t go on the trip, but the good news is that they can join the club, participate in tons of cool activities, and get ready for a trip in 3 years! 3. My friends. Yup, I have friends at school too. A lot of the teachers are friends of mine, but I don’t get to see them much over the summer. I can’t wait to hear about trips they took and the things they did. The first few weeks of school are great for catching up with my friends. For those of you that would like to get a jump on things, here’s a few parts of this website that might give you a good idea of what to expect from 6th grade Language Arts/Literature with Mr. Curtis. What’s the Goal of 6th Grade Lit/LA? The year is almost over. That’s both happy (yay summer) and sad (of course I will miss all of you when you move on to the big, scary junior high). Before you go, though, I’d like you to take the time to answer a few questions for me about what you think makes the perfect school environment. I always work hard to make my classroom better each year, so your honest answers on this survey will help me make next year even better than this year. Ok, here’s a change of pace. Instead of looking at a piece of literature, today we’re going to look at a real world problem. I’m going to start by giving you a list of facts. 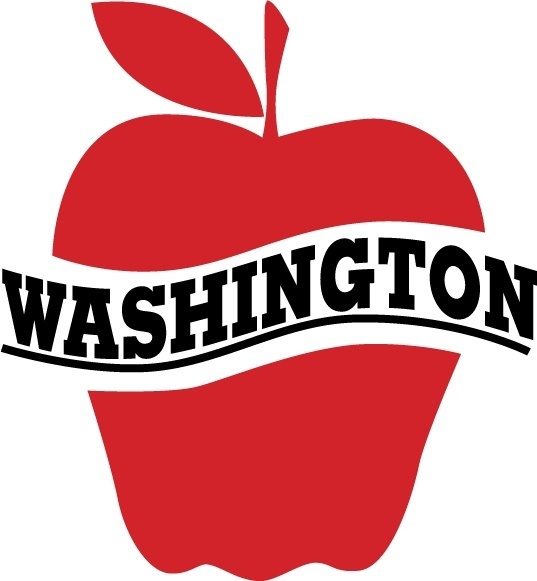 Fact 1: Washington State is called the apple capital of the world. Fact 2: There are dozens and dozens of apple orchards (apple farms) in Washington. Fact 3: Many of those apple farms are in danger of going out of business. Fact 4: Apple farmers need to have all the apples picked out of their trees before it starts getting real cold. Washington is so far north that the cold weather is really close. If the apples aren’t picked before they start to freeze, they won’t be good anymore. Fact 5: If the apples aren’t picked in time, the farms will lose so much money that many of them will go out of business. Fact 6: The reason the apples might not get picked in time is there aren’t enough workers. One apple farm, for example, says they usually have about 80 workers to get the apples picked in time. Right now they only have about 60 workers, and the owner of the farm thinks they won’t get all the apples picked in time. Fact 7: In Washington State, there are currently more than 200,000 adults out of work. Fact 8: Many of the apple farmers, desperate for help, went to Washington unemployment offices (a government building where adults who don’t have a job can get help getting work and get money from the government to help them until the find a job) and asked hundreds of people who don’t have jobs if they would come work for them picking apples. Fact 9: Even after the apple farmers went to the unemployment offices to find workers, they’re still not enough people to pick all the apples, because most of the people they talked to said that they’d rather have no job at all than have to work picking apples. Fact 10: In the past, most apples were picked by workers from Mexico who came into America illegally, but new laws have made it so there are less Mexican workers here to help pick the apples. Think about those 10 facts. Now pretend you are in charge – you are the Governor of Washington state. What do you do to make sure the apple farms, which are one of the most important industries in Washington, don’t go out of business? Put your answer in the comments section below. Writing a biography is writing someone’s life story. Take a good look at the last word in that sentence – that’s the key – story. A biography isn’t just a list of dates, places, and names that relate to a person, it’s the story of their life. Stories are engaging and interesting. A good biography brings the subject to life, makes your readers actually care about what they did. No one wants to read a boring list of facts, no one wants to write a boring list of facts either, so we won’t. The biographies we’re going to write are ones that tell the story of an author’s life in connection with one of their most popular books, so the first thing we’re going to do is pick a book to read. Below is a list of some very famous authors and some of their most popular books. Pick a book that is at an appropriate reading level for you. If you need to, select a children’s or abridged version of the book. If you’re ready to challenge yourself, pick one that’s a little more difficult. Some of these books will require permission from your parents. Check with your teacher before you begin reading to make sure you have a book at your level. Many of these books are available for free online. You can download them here.